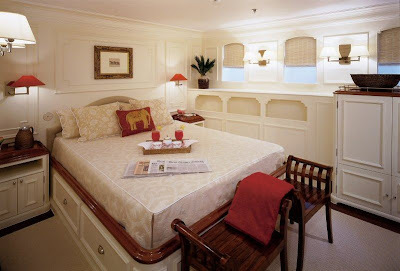 The firm of naval architecture that made the design details for this ship is Cox & Stevens. 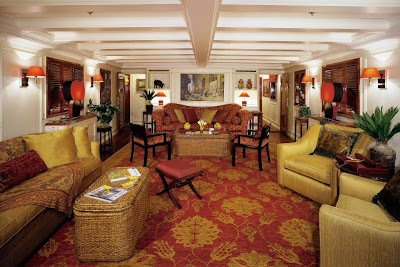 The vessel had interior design and styling was the talent of Richard Taylor / Paul Williams. 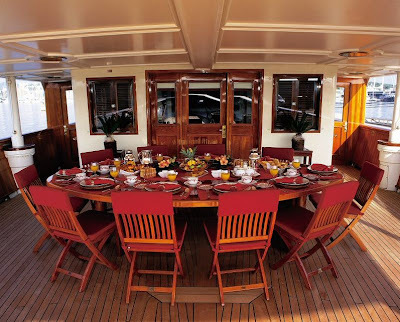 Luxury yacht HAIDA G is a quality yacht that is able to sleep a total of 12 guests on board and has approximately 17 crew members. HAIDA G, originally HAIDA, was built for millionaire yeast producer Max C. Fleischmann (1877-1952) following plans drafted by the New York naval architects Cox and Stevens. Under the name USS ARGUS, call sign â€œPY14,â€ the yacht protected the coast in the Patrol Force of the 12 th Naval District out of San Francisco. 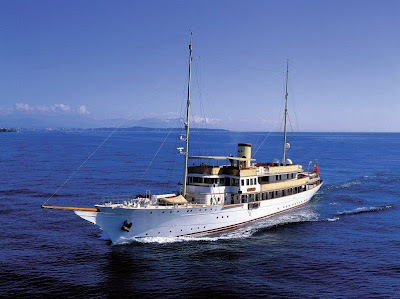 She was decommissioned in 1946 and purchased by a private owner who restored her to her former glory as a pleasure craft. 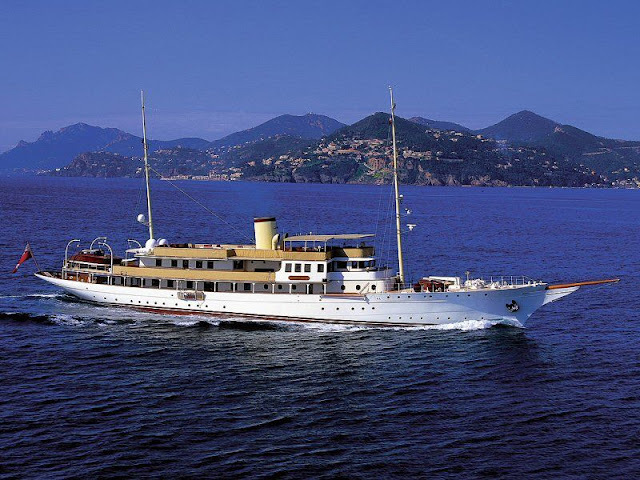 Renamed SARINA, she was owned by the Egyptian cotton magnate Maurice Ada and spent a number of years in Alexandria. 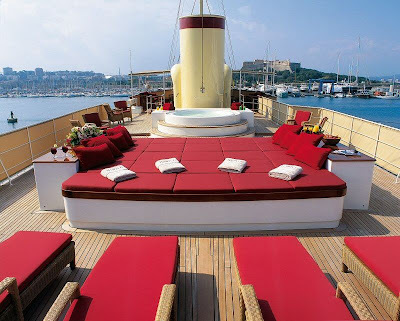 During a political disturbance, her owner moved the yacht to the South of France where she has been magnificently restored. 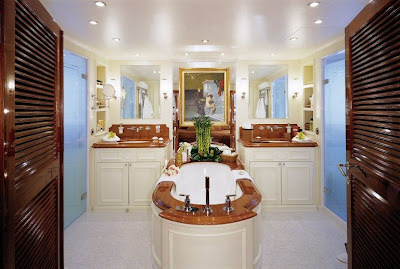 Cox & Stevens was the naval architect involved in the professional vessel plans for HAIDA G. Also the company Cox & Stevens successfully collaborated on this venture. 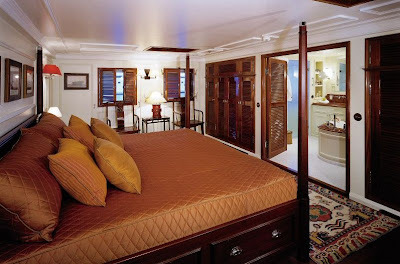 Interior designer Richard Taylor / Paul Williams was charged with the creative internal styling. Germany is the country that Germaniawerft Fr Krupp Ag constructed their new build motor yacht in. After the formal launch in 1929 in Kiel the boat was thereafter passed over to the owner having completed final finishing. Her core hull was constructed with steel. 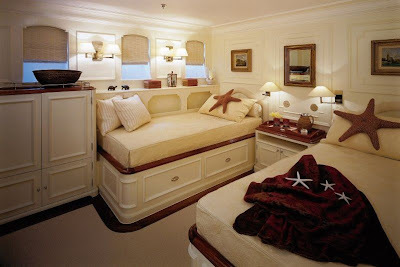 The motor yacht superstructure is fabricated for the most part using steel. 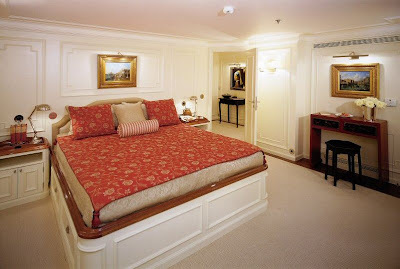 The measurement of the luxury yacht on deck is 66.45 (218 ft). 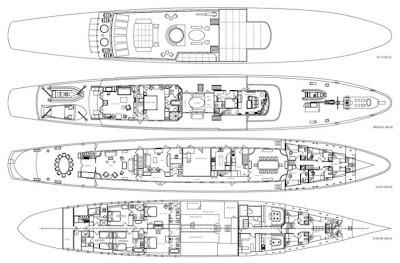 With a beam of 9.14 metres / 30 feet HAIDA G has fairly large room. A deep draught of 4m (13.1ft) determines the list of overall harbours she can enter, contingent on their individual depth. She had refit maintenance and modification undertaken by 2008. HAIDA G is propelled by twin screw propellers. 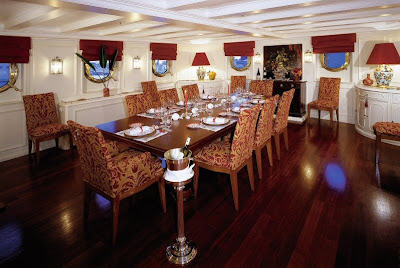 The main engine of the ship generates 750 horse power (or 552 kilowatts). She is fitted with 2 engines. The combined power for the yacht is 1500 HP / 1104 KW. As far as stabalisers are concerned she was built with Vosper. Apportioning volume for a maximum of 12 visiting passengers staying on board, the HAIDA G accommodates everyone in luxury. Normally the vessel requires around 17 capable yacht crew to operate. Main Engine(s) is two 750 Horse Power / 552 Kilowatts Krupp. - Overall output: 1500 HP /1104 KW. - Cruise Speed: 11 nautical miles per hour. - Top Speed: 12 knots. - Range in nautical Miles is 8000 at a speed of 11 knots. - Fuel Capacity: 126000 L. - Water: 96000.00. - Power generation: Krupp 2 times 55 kilowatts, Volvo Penta 3 times 60 kilowatts. 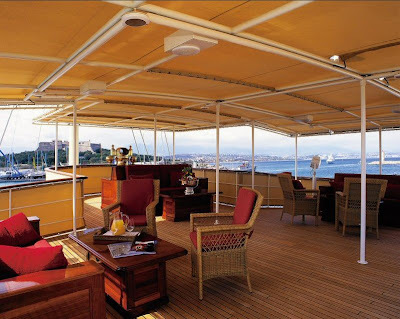 - Some locations the yacht has visited: Genova. Italy. Provincia di Genova. Liguria. - Stabaliser Stabality devices: Vosper. - Air Conditioning: Chilled Water System. - Yacht Beam: 9.14m/30ft. - LOD: 66.45m/218ft. - Waterline Length (LWL): 54.94m/180.25ft. - Draught Maximum: 4m/13.1ft. Price includes: Hire of the yacht, insurance, crew salaries (6 members) and all their services, complete equipment and its use.